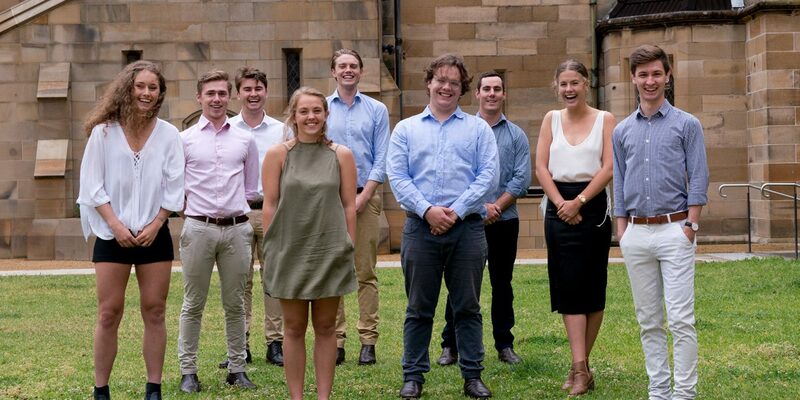 The St John’s College Students’ Club has made a historic decision at their recent General Meeting to enable the election of male and female House Presidents. Initiated by students alone, the House voted overwhelmingly for the change in the constitution and the amendment reflects the commitment and drive to create more leadership opportunities for women by both current and past students at St John’s. Commencing from the election of the 2019 House Committee, the student body will vote for one male and one female House Presidents who will serve side by side. “This is something we’ve been working toward all year and it’s great to see the House respond so positively to the change. We’re confident that going forward, this system will create better opportunities for all students and better outcomes for the College community,” said House President, Amos Potter. “This historic decision ensures that each year a male and female student will lead the College and is an enormous step in the process of properly integrating women into student leadership at St John’s since it first became co-educational in 2001,” said Eleanor Schwager, a member of the St John’s College 2018 House Committee. “This constitutional amendment is the well-deserved culmination of hard work over many years by members of the St John’s community, but particularly the women of the College. Change is a slow process and the House Committee of 2018 would not have been in a position to deliver this significant achievement without groundwork of previous years,” she said. Co – House Presidents will bring into alignment the leadership of the House Committee with the gender makeup of the College and will also provide even greater leadership opportunities and expression of student values that truly reflect the diversity of St John’s. “I look forward to working with the new student leadership team and the first Co-Presidents in our history in 2019,” he said. On Monday 20th August, the Students’ Club voted in favour of a constitutional amendment to allow the election of Dual House Presidents (that is, one male and one female) from 2019. This decision follows extensive discussion within the House Committee and the student body on the historical lack of diversity within the House Executive. Since women were admitted to the College in 2001, only one female student has been elected House President. The new system increases leadership opportunities for both men and women and ensures that our community is properly represented at the highest level. We congratulate the House on this historic change and trust that St John’s will continue to develop a culture of diversity and inclusion in years to come. Whilst a significant positive step in the history of the College, the students recognise that this is neither the beginning nor the end of the process. Awareness of gender diversity is not new to the College and much work has been undertaken over recent years on culture renewal and strengthening diversity and inclusion at St John’s. “We are making sure our leadership system reflects the values that already exist in the Students’ Club. I am proud to have been a part of the leadership team that passed on this legacy”, said Darcy Greaves, a member of the St John’s College 2018 House Committee. “The House Committee is aware that there is still more work to be done. They are hopeful that the Dual House President amendment will lay the foundations for the leadership team of next year to continue cultural renewal and progression”, added Eleanor Schwager. Elections for the 2019 House Committee will take place later this month.